The NCAA Tournament begins tomorrow, and it’s almost time for superstars to showcase their talents and lead their teams to the Final Four. There’s plenty of talented players in the 68-team field, but here are the players you should watch for and consider as you fill in your last-minute brackets. Ole Miss G Marshall Henderson: Well, Henderson is clearly the most interesting player in the NCAA Tournament. His antics and on court behavior are indeed puzzling, Henderson is a pure scorer who averaged more than 20 points per game during the 2012-13 season. The Rebels face a strong defensive team in #5 seed Wisconsin, but Henderson could lead the SEC Champions to an upset. And if the game gets close, Henderson can be trusted at the free-throw line (88%). He may not earn All-American honors, but Marshall Henderson could win trash talker of the year. Miami (FL) G Shane Larkin: Miami has its best season in school history this year, winning both the ACC Regular Season and Tournament Championships while embarrassing North Carolina and Duke in the process. Shane Larkin (14.6 points, 3.9 rebounds, 4.4 assists) is a major part of the Hurricanes’ success this year. He can perform at both end of the floor very efficiently, and he could make or break the Hurricanes’ momentum in March. With depth and excellent coaching around him, Larkin has all the tools to lead Miami to the Final Four. Kansas G Ben McLemore: McLemore is by far the most talented freshman in the 2013 NCAA Tournament. Along with senior center Jeff Withey, McLemore is part of a dangerous hi-low tandem for the #1 Kansas Jayhawks. As a freshman, the 6-5 guard shot 51% for 16.4 points per game, and also shot 87% at the free throw line. McLemore is the quarterback of a Top-25 offense in points, rebounds, assists, and shooting this season. The road to the Final Four isn’t easy for Kansas (North Carolina, Michigan, Florida, and Georgetown on the horizon), but McLemore could prove he belongs with the best in college basketball. Playing well this March could earn McLemore a #1 NBA Draft selection if he leaves Kansas. Indiana F Victor Oladipo: On a deep, talented Indiana team, Oladipo seems to be the on court leader, especially on the defensive side of the ball. He averages just under 14.0 PPG and 6.4 RPG, but his 2.1 assists and 2.2 steals make the 6-5 guard a dangerous threat on multiple levels. He is very efficient offensively (.599 field goal percentage), and has already earned All-American, All-Big Ten, and Big Ten Defensive Player of the Year honors. With a solid tournament, Victor Oladipo could lead the Hoosiers to the Final Four and earn the John Wooden Award for National Player of the Year. Duke F Mason Plumlee: Duke is considered as a strong, but inconsistent team because they rely heavily on shooting threes and mid range shots. But Duke is also loaded with senior leadership, including 6-10 forward Mason Plumlee, who has already won a national championship with the Blue Devils (2010). Plumlee is a tremendous low-post player (17.2 points, 10.2 rebounds per game) and is also a candidate for the Wooden Award. He is in a crucial spot for the Blue Devils: if Duke struggles from outside, Plumlee will expected to pick up the offensive slack down low and grab key offensive rebounds. Duke has all the tools to win if Plumlee comes to play like an All-American every game. Currently, the Yankees boast some of Major League Baseball’s older players; stars from the mid-2000s like Kevin Youkilis and Ichiro Suzuki, and they may be interested in another household name who was their de-facto “ace” prior to the end of the original Yankee Stadium. According to the Trentonian’s Josh Norris, RHP Chien-Ming Wang, now 32, is in Tampa with the Yankees throwing a few bullpen sessions. Normally, the bullpen sessions are precedent to a signing. In 2006, Wang posted a ground ball percentage of 62.8%, and with his famous sinker sitting in the 88-92 mph range, certainly a minor league signing would work out for both parties. Following a foot injury running the bases in Houston in 2008, Wang’s production dropped off. In 2009, the Taiwanese pitcher lasted a mere 42 innings, posting a 9.64 ERA (5.38 FIP). His HR/9 skyrocketed, going from 0.4 from 2006-2008 to 1.5 in 2009. 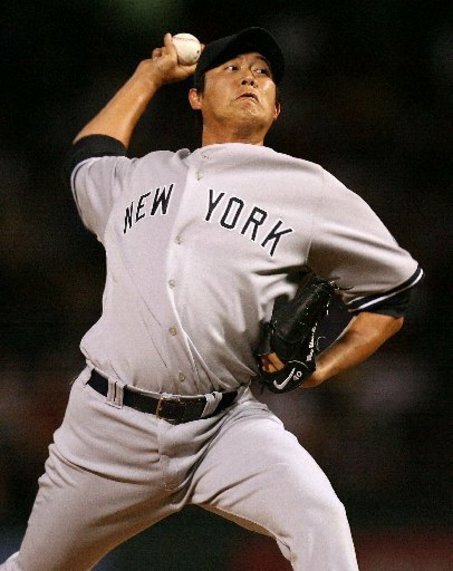 At one point in the 2009 season, Wang posted a 34.50 ERA. Wang would also deal with hip and shoulder capsule injuries, while signing a minor league contract with the Washington Nationals. In 16 starts in two seasons with Washington, Wang posted a 4.94 ERA with his HR/9 still nowhere close to his successful New York years at 1.2. His ground ball percentage sat at 53.2 percent. In 5 starts in 2012, he walked as many as he struck out (15). For the Yankees, however, signing Wang to a minor league deal would make plenty of sense. When you consider LHP Andy Pettitte, 41, hasn’t pitched in more than 21 starts since 2010; RHP Hiroki Kuroda, 38, is coming off a career-high 236.2 IP and Phil Hughes is just getting over back issues again, the oldest team in the majors could use the pitching depth. While RHP Michael Pineda is recovering from shoulder surgery, he has just begun throwing sliders, and will probably not see any game action until late-May/early-June. Depending on Hughes’ health, the Yankees will have right-handers David Phelps and Ivan Nova break the 2013 rotation; Nova had an ERA over 7 in the second half last year while Phelps, despite the strong spring, has 99.2 IP major league innings to his name. 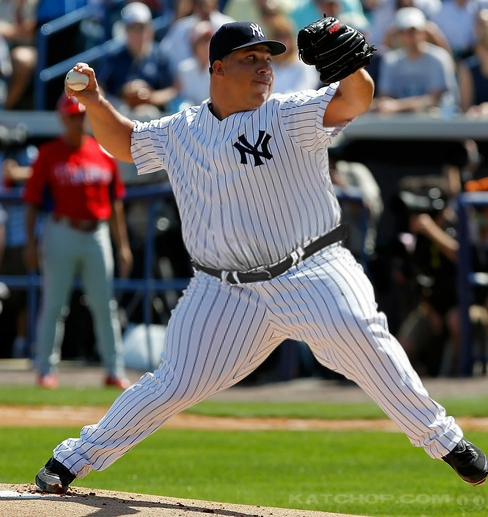 We’ve seen the Yankees turn minor league deals into instant success before; in 2011, RHP Bartolo Colon posted an ERA of exactly 4.00 in 164.1 IP for the Yankees after signing a $900,000 minor league deal. Other teams interested in Wang, who threw twelve shutout innings in the World Baseball Classic for Chinese Taipei, could be the Texas Rangers after they lost Martin Perez to a forearm injury. The Boston Red Sox are also looking for starting pitching depth considering their 5.19 ERA last year was the worst in franchise history. The last 25 NCAA Tournament Champions have been seeded 1-4, so odds are, one of the sixteen teams with a four seed or better will cut down the nets in the 2013 NCAA Tournament in Atlanta. 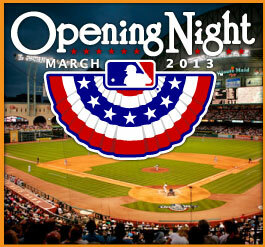 Here, we analyze each of the 16 top teams in the 2013 field. #1 Louisville (29-5, Big East Champions)- Led by senior guard Peyton Siva and All-American candidate Russ Smith, the Cardinals again have a #1 seed in the Tournament. Louisville has won ten straight and thirteen of their last fourteen, and their dynamic second half against Syracuse in the Big East Championship could give the Cardinals the extra momentum they need to make it to their second straight Final Four. #2 Duke (27-5, ACC at-large)- Duke is again primed for a deep NCAA Tournament run this year. Their senior trio of Mason Plumlee, Ryan Kelly, and Seth Curry provide the Blue Devils with a balanced, dynamic offense and invaluable leadership. Duke defeated four Top-5 teams this season, but lost in the second round of the ACC Tournament to Maryland. 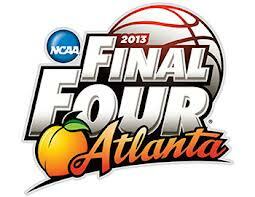 Nevertheless, as long as Duke plays consistent, look for the Blue Devils to make the Final Four. #3 Michigan State (25-8, Big Ten at-large)- If there’s one thing I’ve learned about the NCAA Tournament, it’s to never doubt Tom Izzo. He has coached six teams to Final Fours at Michigan State, and his teams consistently compete well in March. Maybe there’s not as much firepower on this year’s team, but the Spartans could turn some heads. #4 Saint Louis (27-6, Atlantic 10 Champions)- There was some uncertainty when former coach Rick Majerus announced a leave of absence to care for his health, but the Bilikens surprised many this season. Playing in a difficult Atlantic 10 Conference with Butler and VCU, Saint Louis went 13-3 in conference play and won the A-10 Title on Sunday. Rick Majerus isn’t to see his team play this postseason, but his spirit and memory will certainly motivate Saint Louis in a difficult Midwest Region. #1 Gonzaga (31-2, WCC Champions)- Head coach Mark Few has built a perennially strong program at Gonzaga, regarded as the best among mid-major schools. This season was one of the most successful for the Bulldogs, with 31 wins, an undefeated conference record, and multiple wins against power conference schools. Led by 7-foot junior forward Kelly Olynyk, the Bulldogs earned their first number one seed in school history. Look for Gonzaga to go far in this tournament. #2 Ohio State (26-7, Big Ten Champions)- Ohio State continues its string of successful seasons in 2013 by capturing the Big Ten Championship. Led by juniors DeShaun Thomas and Aaron Craft, the Buckeyes have quietly been a stifling team on the defensive side of the ball. Each of Ohio State’s seven losses were to AP Top-20 teams, so the Buckeyes have faced their fair share of competition. Ohio State gets its first two games in the state of Ohio, but then travels a long way to the West Regional site in Los Angeles. #3 New Mexico (29-5, Mountain West Champions)- New Mexico is this year’s big mystery in the NCAA Tournament. You can’t argue with a 29-5 record, nor with a 3-0 record against Top-25 teams. They have the second best RPI ranking in college basketball as well. But they didn’t play an overly difficult schedule (their biggest wins are UConn and Cincinnati), and that could hurt them in March. #4 Kansas State (27-7, Big 12 at-large)- As long as the Wildcats don’t play Kansas (0-3 vs. Kansas), they should be fine this March. Coach Bruce Weber has coached a team to the Final Four (Illinois, 2005) before, and could do it again this year with veteran leadership in senior guard Rodney McGruder. They will play their first two games close to home in Kansas City, MO. #1 Indiana (27-6, Big Ten at-large)- Indiana perhaps has the most dynamic player in the nation in guard Victor Oladipo, but also have All-American caliber players in Cody Zeller and Christian Watford. Indiana has a top-five offense in Division I basketball, and is 7-2 against Top-25 foes this year. Indiana has depth, poise, and all the pieces necessary to win a national championship. #2 Miami (27-6, ACC Champions)- What a season for the Miami Hurricanes! Led by seniors Kenny Kadji and Durand Scott and sophomore Shane Larkin, the Hurricanes won the ACC Championship in 2013, and went 6-1 against Duke, North Carolina, and NC State this year. Jim Larranaga will hope to return to the Final Four once again (he coached George Mason in 2006), and if Miami had any season to make a run in the NCAA Tournament, it’s right now. #3 Marquette (23-8, Big East at-large)- Marquette has to be one of the most underrated programs in college basketball. They quietly went 14-4 in the Big East this year, earning a share of the conference crown. However, the Golden Eagles have some very bad losses (at Green Bay, Florida by 33) and have a sub-.500 record away from home. But you can’t root against a player with the name Vander Blue, can you? #4 Syracuse (26-9, Big East at-large)- Syracuse is a team with many puzzling characteristics. Jim Boeheim is one of the best coaches in history, but has led a Syracuse team to the Final Four since 2003. The Orange lost four starters from last season to the NBA, but their 2-3 zone defense still earned them 26 wins this year. There might not be enough offensive power on this Orange squad to make the Final Four, however. #1 Kansas (29-5, Big 12 Champions)- Senior forward Jeff Withey and freshman guard Ben McLemore give the Jayhawks a dangerous one-two punch. But outside those two players, there isn’t much depth for Kansas. But they rank fifth in RPI, and have made the Sweet Sixteen in six of Bill Self’s nine seasons as coach. Lock in Kansas for at least two wins. #2 Georgetown (25-6, Big East at-large)- They don’t play the most exciting or dynamic style of basketball, but you can’t deny John Thompson III’s system works at Georgetown. The Hoyas are 6-2 against Top-25 teams, and Otto Porter Jr. is one of the best guards in the country. Georgetown is looking for their first Final Four appearance since 2008. #3 Florida (26-7, SEC at-large)- Four Gators are averaging ten points per game this season, and Billy Donovan has regained control of the SEC with Kentucky struggling this season. Florida is ranked 6th in RPI, and hasn’t left the Top-15 in the AP Poll this year. With depth and great team chemistry, the Gators could make the Final Four in 2013. #4 Michigan (26-7, Big Ten at-large)- The Wolverines impressed many this season with the best backcourt combination in college basketball (Trey Burke and Tim Hardaway Jr.), and even earned a #1 ranking in February.They are 13-1 in non-conference games this year, but only 9-6 away from Ann Arbor. The Wolverines have a tough road to Atlanta, but could make it to the Final Four if Burke and Hardaway step up. Every year you have one team that always pulls an upset in the NCAA Tournament and ruins your brackets. Last year, 2 different #15 seeds pulled huge upsets (Norfolk State vs. Missouri, Lehigh vs. Duke), as well as several other mid-major teams shocking their opponents. Here are some mid-major teams that could be this year’s “bracket busters”. 14-East: Davidson (26-7, SoCon Champions)- The Davidson Wildcats are most remembered for their miraculous run to the 2008 Elite Eight, led by shooting guard Stephen Curry. Davidson has an offense among the top fifty programs in NCAA Basketball, and Davidson has won their last 17 games, the longest active streak in the country. Upperclassmen forwards Jake Cohen and DeMon Brooks can shoot, defend, rebound, and facilitate on the offensive end, and coach Bob McKillop is among the best mid-major coaches in the country. Davidson has a great shot to win AT LEAST one game this March. 11-Midwest: St. Mary’s (27-6, WCC at-large)- St. Mary’s has six losses this season; three of them were against #1 Gonzaga. They have a 9-2 road record this year, and have momentum headed into the Tournament (10-2 in their last 12). Their experiences playing Gonzaga have taught the Gaels how to compete with the best, their upperclassmen leadership is outstanding, and I believe the Gaels can and WILL win a game in the NCAA Tournament this season. 12-West: Ole Miss (26-8, SEC Champions)– Marshall Henderson might be an enigma of sorts, but he is also the primary reason for the Rebels’ success this season. Ole Miss averages nearly 80 points per game, and they upset Florida in the SEC Championship Game on Sunday. Henderson will lead the Rebels to great places, including the third round of the NCAA Tournament this year. However, they face a Wisconsin team that made it to the Big Ten Championship game. 11-West: Belmont (26-6, OVC Champions)- The Belmont Bruins are no strangers to the NCAA Tournament, but the Bruins are still searching for their first tournament win. That could very well happen this year. Belmont’s two leading scorers, Kerron Johnson and Ian Clark, are both seniors, and have played in two Tournaments before. Belmont has a strong RPI ranking (18th) and a 12-6 record on the road. They face #6 Arizona, an opponent with only two games against top-25 teams this season. By this point in time, we all know about the New York Yankees’ offensive woes, at least for the first month of the season. With the Toronto Blue Jays poised to win now, the cost-conscious-yet-perennial-contending Tampa Bay Rays, the Boston Red Sox added solid clubhouse pieces and the budding Baltimore Orioles, many predict the New York Yankees to take a step back this year; their over/under wins is set at roughly 84.5, a considerable drop-off for a team that prides itself on being a consistent threat the last 17 years (sans 20008). In recent weeks, the Bombers moves have appeared incredibly desperate. 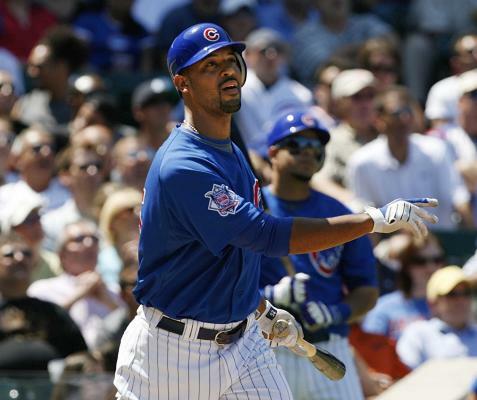 They’ve reached out to the retired and lifetime-Brave Chipper Jones, the retired Derrek Lee (who has turned down their offer) and Scott Rolen (.716 OPS in 2012). When asked about whether or not this reeks of desperation in the wake of first baseman Mark Teixeira’s wrist tendon injury, General Manager Brian Cashman said it instead is a matter of “creativity.” Teixeria is expected to be out until mid-May, and wrist injuries are well-known for sapping power. In addition to Teixeira going down, outfielder Curtis Granderson, and his .843 OPS in his three seasons with the New York Yankees, will be out until the middle of May after a J.A. Happ fastball fractured Granderson’s forearm. With a lineup that now features only one hitter that eclipsed the 20-homer mark last season–Robinson Cano–the Yankees are going to need additional power. With castaways like Dan Johnson (career 101 OPS+) and Juan Rivera (.661 OPS last season), there isn’t much optimism from a power perspective. 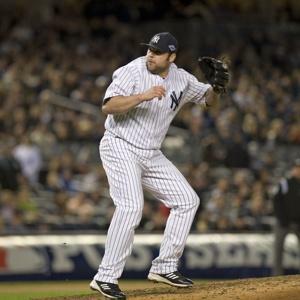 While the aforementioned Cano is the top free agent going into 2014, the Yankees will also see starter Phil Hughes and reliever Joba Chamberlain hit free agency after the 2013 season. Called up with such acclaim and promise in 2007, the Yankees have seen both battle injuries and inconsistency throughout their Yankee careers. Once thought to be the heir apparent to the retiring closer Mariano Rivera, Chamberlain has fought a rotator cuff injury, Tommy John surgery, a freak ankle injury on a trampoline, and was impaled last season with a bat in the 2012 ALDS against the Baltimore Orioles. Despite all this, we learned the Texas Rangers are scouting Chamberlain. This Spring Training, the trifecta of Josh Lindblom, Evan Meek, and Tanner Scheppers have allowed a .387 batting average against. Neftali Feliz and Joakim Soria are both recovering from Tommy John surgery; bullpen depth is key to any contendor, and the Rangers would welcome Joba’s career 3.64 FIP. Unlike the Rangers, the Yankees have depth in the bullpen, with RHP David Robertson (career 12.03 K/9), RHP Shawn Kelley, RHP David Aardsma and prospect RHP Mark Montgomery (99 strikeouts in 64.1 IP between Single-A Tampa and Double-A Trenton) poised to succeed Mo. For the Yankees, who are tiring of Chamberlain’s antics, from his “look-at-me” attitude, to an incident early in Spring Training where he stated he could start or relief, suggests he is likely to bolt via free agency following this season. 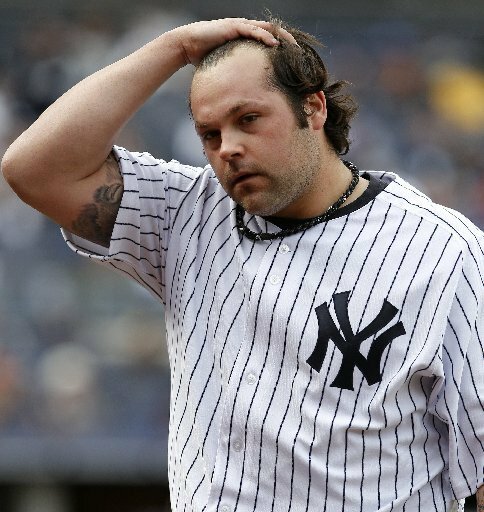 Yankees reliever Joba Chamberlain reacting to a broken bat that is about to strike his elbow. Photo credit: New York Post. If that is indeed the case, it would behoove the Yankees to maximize value before Joba leaves for just a draft pick. With the Rangers having MVP-candidate Adrian Beltre, Elvis Andrus, and Ian Kinsler, Mitch Moreland poised to man the infield on Opening Day, with no.1 prospect Jurickson Profar likely called up sooner rather than later, there is likely no room for third baseman Mike Olt, whose name first surfaced last season in a rumored trade with Philadelphia over LHP Cliff Lee. Getting his cup of coffee in 16 games with the Rangers in 2012, the 24-year-old Olt posted a .922 OPS in the minors, drawing a comparison to Mike Schmidt in some circles. Certainly, more would have to go from the Yankees perspective if they traded Chamberlain for Olt (28 homers in 95 games at Double-A). I’d imagine packaging Chamberlain and the aforementioned Montgomery for Olt would be enough; both Olt and Montgomery would have the six years of service team on their respective teams, and Chamberlain, who is in line for a decent payday (consider Twins RHP Jared Burton and his career 3.81 FIP earned a 2-year $5.4mm deal) could conceivably sign such an extension with Texas. For the cost-conscious Yankees, Chamberlain’s departure would allow them to spend elsewhere. Olt’s offensive prowess would be enough to combat the invading age-and-injury troops moving into Yankees camp at an absurd rate. The young corner infielder could play first base while Teixeira is out, and the Yankees are fooling themselves if they think third baseman Kevin Youkilis can get through a full season unhurt, as well as DH Travis Hafner. If the miracle of prolonged health somehow strike both Youkilis and Hafner, who are past their primes, the Yankees could initiate a DH platoon of Youkilis/Hafner with Olt at third, or Youkilis at third, with Olt DHing. Of course, the wildcard here is Alex Rodriguez, who may or may not return following another hip labrum surgery. According to the New York Daily News, the surgery is likely to put an end to Rodriguez’s controversial yet successful career. If A-Rod comes back and tears the cover off the ball, Olt could receive time in the minors with a full-time promotion coming in 2014, given the Yankees are likely to inject much youth, or even “fake” right-field. In a lineup of all left-handers (Brett Gardner, Curtis Granderson and Ichiro), Olt’s right-handed presence would be a welcome addition, even in a platoon role. As Yankee fans have already seen, one the outfielders is likely to be injured for a prolonged period of time or experience ineffectiveness–that’s baseball. Joba’s value is likely to be no higher than now, and considering the Yankees are more than likely to lose Chamberlain (and Hughes) in free agency, the Yankees should look to maximize value given their bullpen depth. For an aging team, they need youth, in the form of a third baseman from Texas. Yesterday, the NFL’s annual free agent signing period kicked off at 4pm. Yesterday, the Miami Dolphins made the biggest moves, signing WR Mike Wallace (Pittsburgh) to a 5 year, $60 million deal, and LB Dannell Ellerbe (Baltimore) to a $35 million contract over five years. Today, the Dolphins continued to make news, but this time, it was about a player leaving South Beach. Former Dolphins RB Reggie Bush inked a 4 year deal with the Detroit Lions today, and is expected to be the lead back in the Motor City. The former Heisman Trophy winner (since forfeited) and No. 2 overall pick in 2006 rushed for 986 yards and 6 touchdowns and caught 35 passes for 292 yards and another two scores last year for the Dolphins. QB Alex Smith was officially traded to the Kansas City Chiefs yesterday. The former #1 pick in 2004 started eight seasons with the San Francisco 49ers, and started this season before suffering a concussion in Week 10 and being replaced by Colin Kaepernick. The 49ers found success with Kaepernick, and Smith rode the bench for the remainder of the 2012 season and playoffs. The 49ers will receive Kansas City’s 2013 second-round pick and a future draft pick. Nnamdi Asomugha was released by the Philadelphia Eagles yesterday, part of new coach Chip Kelly’s overhaul of the Eagles’ defense. The 31-year old cornerback was signed to a 5 year, $60 million deal in 2011, as part of a free-agent spending spree. Disappointing in his two years in Philadelphia, Asomugha was scheduled to make $15 million next season, but will still count $4 million against the Eagles cap. TE Tony Gonzalez announced he will return to the Atlanta Falcons for his 17th NFL season next year. Gonzalez, 36, is the NFL’s career leader among tight ends in touchdowns, and sixth all time in receptions. Gonzalez (93 rec, 930 yards, 8 TD in 2012) considered retiring, but decided to return for the opportunity to play in his first Super Bowl in 2014. Former Steelers RB Rashard Mendenhall signed a one year contract with the Arizona Cardinals on Wednesday, replacing the injured Beanie Wells in the desert. At just 25, Mendenhall has plenty of upside and potential for the Cardinals. He rushed for 3,309 yards with 29 touchdowns in three seasons as lead back for the Steelers, before being replaced last season by Isaac Redman and Jonathan Dwyer. The Baltimore Ravens lost another defensive starter today by releasing safety Bernard Pollard. The Ravens leading tackler (71) in 2012, Pollard also had two sacks and an interception in thirteen games for the Ravens last year. The 28-year-old safety was set to make $2.5 million in 2013, and a combined $5.6 million in 2014 and 2015. The Ravens might also lose safety Ed Reed to free agency, who has been linked to the New England Patriots and San Francisco 49ers. Former #1 pick Jake Long could be headed out of Miami as well, reportedly signing a contract with the St. Louis Rams today. Long spent five seasons in Miami after being selected #1 overall in 2008; Long had a five-year, $58 million contract with the Dolphins. He was very successful, making four straight Pro Bowls form 2008-2011. The price for Long will be expensive, but the signing gives QB Sam Bradford valuable protection, and continues the rebuilding process in St. Louis. Buffalo Bills QB Ryan Fitzpatrick was also released. Fitzpatrick disappointed in two seasons after signing a 6-year, $59 million extension with the Bills, posting a 12-20 record over those two seasons. The move leaves Tavaris Jackson and Aaron Corp as the only two quarterbacks on the Buffalo roster, which could indicate the Bills’ desire to draft Geno Smith in April’s NFL Draft. Former Ravens LB Ray Lewis also made news Wednesday, signing a contract to join ESPN. The 17-year veteran retired after winning Super Bowl XLVII with Baltimore in February. Lewis will appear on ESPN’s “Monday Night Countdown,” “Sunday NFL Countdown” and “SportsCenter” programs. Check back tomorrow for more information about NFL Free Agent signings and updates.